“China biotech is not coming, it has already arrived.” Those were the words of Endpoints News Editor-in-Chief, John Carroll when he opened up the US-China Biopharma Innovation & Investment Summit in Shanghai, China. The event took place at the Four Seasons Shanghai from October 22-23 and was co-hosted by the US-based news organization Endpoints News and China-based data and media company Pharmcube. The China BioPharma ETF (Nasdaq: CHNA) research team attended the event. Brad Loncar, CEO of Loncar Investments and creator of the Loncar China BioPharma Index, was a featured speaker along with many representatives of CHNA ETF companies. Mr. Carroll talked about how he predicted the rise of China in the biotech industry many years ago and said news from China is now a daily occurrence in Endpoints reporting. He said he is amazed how global the audience is for biotech news today with his readership starting in Europe each day, moving across the U.S. and then finishing in China during the afternoon. Another topic he covered included the surge of investment in oncology in the industry as illustrated by a recent report by Cancer Research Institute and how China is making an effort to be a leader in cell therapies in the future. Currently, there are more CAR-T trials ongoing in China than there are in the United States. John Oyler, CEO of CHNA ETF holding BeiGene (NASDAQ: BGNE, HKEX: 6160), was one of the morning keynote speakers. He summarized his talk with three main points. First, that there are dramatic changes happening to the biopharma industry and how China is increasingly a key focal point for the future. Second, that China enables an alternative model, which is no longer addicted to and reliant on US pricing. He said this was due to the scale of the country and size of unmet needs there. For example, Mr. Oyler said that China initiating reimbursement of innovative therapies roughly doubles the number of reimbursed oncology patients globally. Third, he said that the opportunity exists to build China as a next-generation, global biopharma leader. Another focus of Mr. Oyler’s talk was how China could change the landscape for clinical trials going forward. He said that patients in China have a much higher likelihood of participating in a clinical trial due to partial reimbursement of medicines and the relative wealth in the country. He pointed out the scale of the opportunity since large treatment centers in China see more than 20 times the number of patients as compared to traditional trial centers in the US, EU, and Japan. He also said there is strong government support for this and that the country’s digital infrastructure policies might be better suited to include real world data and risk based monitoring as part of the clinical trial process. Mr. Oyler also spoke extensively about how he believes China’s rise in biopharma might change the business model of our entire industry. For example, it might mean that the number of addressable patients globally could one day more than triple from 1 billion currently to 3-4 billion if you include China and the periphery nations that participate in its “Belt and Road” initiative. Addressing a market that large would likely mean the industry’s cost per patient will be significantly lower as research and development (R&D) costs are amortized over more patients. This can be a good thing for the world, he said, as more patients and healthcare providers are able to afford and adopt therapies. In another keynote presentation, Brad Loncar provided his thoughts on changes that are catalyzing biotech in China. All the right elements are coming together, he said. These include government support of the industry, regulatory reform at the National Medical Products Administration (NMPA, China’s version of FDA), the fact that Chinese companies are embracing disruptive science like cell and gene therapies, and the Hong Kong Stock Exchange’s new rule that allows pre-revenue biotech companies to list for the first time. He pointed out how the Chinese government has highlighted pharmaceuticals as a sector it wants to be globally competitive in via its “Made in China 2025” program and said it was a positive sign that China’s Center for Drug Evaluation published in August a list of 48 innovative medicines it would like to see submitted for priority review. “Having the best medicines in the country can be like a rising competitive tide that lifts all boats for domestic players,” he said. As a biotech investor and analyst himself, Mr. Loncar also gave advice to the new crop of companies that are going public in the region. He talked about the importance of transparency in this sector. He recommended that companies disclose their milestones and expected catalysts at the beginning of the year so that investors can follow the progress and see which companies are executing on them. He also recommended that companies present clinical data in a way that is reliable and credible, and to also be detailed in explaining the regulatory pathway in China for products since this is a region that is entirely new to most outside investors. He lastly recommended that companies participate in as many banking and other industry conferences as possible so that investors can have a constant dialogue and way to follow their stories. One presentation we found to be particularly interesting was by Nisa Leung, a venture capitalist who is Managing Partner for Healthcare at Qiming Venture Partners. The firm has over $4 billion in assets and has made investments in over 270 companies. Some of its many healthcare investments have included Zai Lab (Nasdaq: ZLAB), CANbridge Life Sciences, CanSino Biotechnology, and Crown Bioscience. As Ms. Leung described, venture investment in China’s biotech industry has surged over previous years – jumping from approximately $1 billion in 2012 to approximately $11 billion in 2017. This money, she continued, is being spent in different ways today. For example, due to rising upfront payments and the way western drugs have been priced in the country lately, she thought that a pure in-licensing model by Chinese companies might be challenged going forward and that today investment needs to be put more towards internal innovation. Another part of Ms. Leung’s presentation that was fascinating was her discussion about talent. Talent and knowhow is what drives an innovative sector like biotech so this is a critical component for China if it wants to succeed in the industry. Ms. Leung pointed out how China has talent recruitment policies, and that over 2 million professionals have returned to work in the country from abroad over the last six years. Approximately 250,000 of these are believed to be working in China’s life sciences industry. The Chinese term for those who return to work is “Haigui” or sea turtles. In addition to the returnees, she says there are approximately 352,000 Chinese students currently studying in the US, with most of them focusing on technical areas like chemistry and engineering. This is something that becomes apparent when you visit biotech companies in the region, as you are sure to meet many entrepreneurs and scientists with previous western experience. In addition to individual speakers, there were also some excellent panel discussions. One was entitled “Opportunities from the biopharma R&D gap.” We learned that monoclonal antibodies currently only make up approximately $1.7 billion in sales in China vs $104 billion for the rest of the world. This nascent market will likely be a focus of Chinese research and development (R&D) in the future, according to the panelists. However, some are sticking to a small molecule approach for now. For example, Dr. Weiguo Su, the Chief Scientific Officer of Hutchison China MediTech (Nasdaq: HCM), talked about his company’s focus. He described how biotech is a patient driven business and that he believed all R&D decisions should come down to unmet needs and what is best for patients. His company recently earned the approval in China of a new cancer medicine called Fruquintinib for advanced colorectal cancer, which they believe is the first innovative new cancer medicine entirely discovered and developed within the country. Another panel entitled “New technology, new mindset and the Chinese oncology pipeline” focused on how new technologies in cancer research are being developed in the region. John Connolly, Chief Scientific Officer of Singapore-based Tessa Therapeutics, predicted that cell therapy combinations and oncolytic virus + PD-1 combos will be “the next big things” in oncology. Tessa is a private company that is focused on the development of cancer immunotherapies both in Asia and the United States. There was also a lengthy discussion during this panel about the development of bi-specific antibodies. Weichang Zhou, Chief Technology Officer for WuXi Biologics (HKEX: 2269) talked about how important he believed it is for the two targets of a bispecific antibody to have a synergistic effect. He cautioned that 1+1 needs to equal more than 2 or it doesn’t likely make sense to develop them together in one antibody. WuXi Biologics is currently the only company from within China licensed to manufacture biologics for the U.S. market. Finally, one of the last panel discussions was moderated by Brad Loncar and focused on the initial public offering (IPO) market and lessons learned from the start of the new biotech chapter at the Hong Kong Stock Exchange. Panelists Wendy Pan (the law firm of Sidley Austin), Jin Liang (the investment bank CICC), and Zidong Zhang (Henlius Biotech) gave the first three IPOs that have happened a moderately high grade in the “B” range. While they noted that the trading prices are now below their offering price, they said the fact that these pure play innovative biotech companies have raised the kind of money they did and are now listed in Hong Kong is a remarkable thing for the region. Panelist Jielun Zhu, a former investment banker at Jefferies and now CFO of privately-held i-Mab Biopharma, was less enthusiastic and would like to have seen the chronological order of the first three companies be different. However, all panelists agreed that Hong Kong is still the best home for regional companies and were optimistic that the listing market will regain momentum as more mature companies seek to list on the exchange. In summary, the US-China Biopharma Innovation & Investment Summit was a great conference with many excellent speakers. 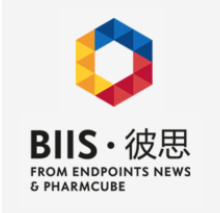 We would like to thank Endpoints News and Pharmcube for the hard work that went into preparing it, and we look forward to returning to Shanghai next year for the second annual event. As China’s biotech sector emerges to the forefront, these are the types of events where you learn who the players are and what issues are uniquely affecting our industry in the region. We are happy to attend them on behalf of CHNA ETF investors and report our leanings to you and other readers. Opinions expressed are those of the author or Funds and are subject to change, are not intended to be a forecast of future events, a guarantee of future results, nor investment advice. Fund holdings and allocations are subject to change at any time and should not be considered a recommendation to buy or sell any security. CANbridge Life Sciences, CanSino Biotechnology, CICC, Crown Bioscience, Henlius Biotech, i-Mab Biopharma, Sidley Austin, and Tessa Therapeutics are not a holding of the Fund or affiliated with the Fund.